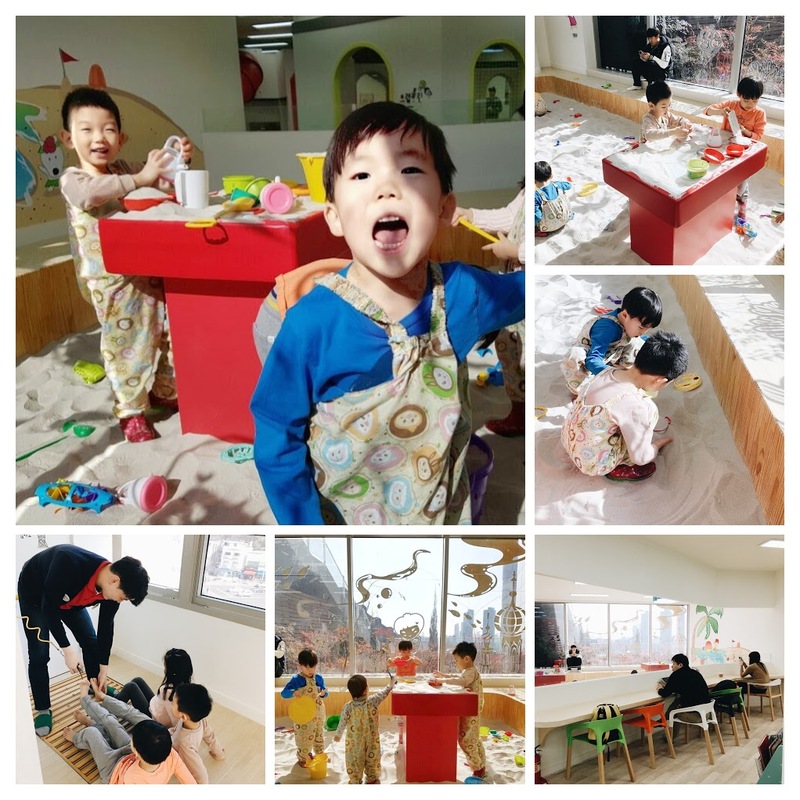 "I Love Dalki" is my all time favorite kids cafe in Seoul. 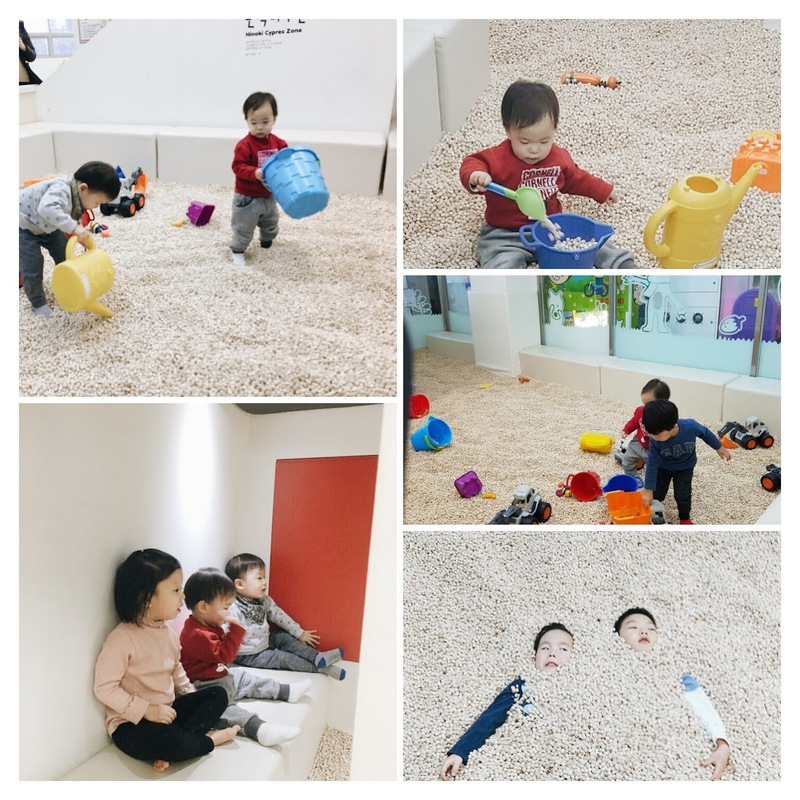 It is spacious, clean, has friendly staff, various activities that are fun for kids of all ages, and is one of cheapest in the city. 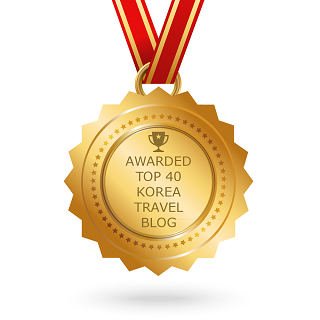 It's a chain and they have many locations throughout Seoul and some other cities as well. They also do birthday parties! 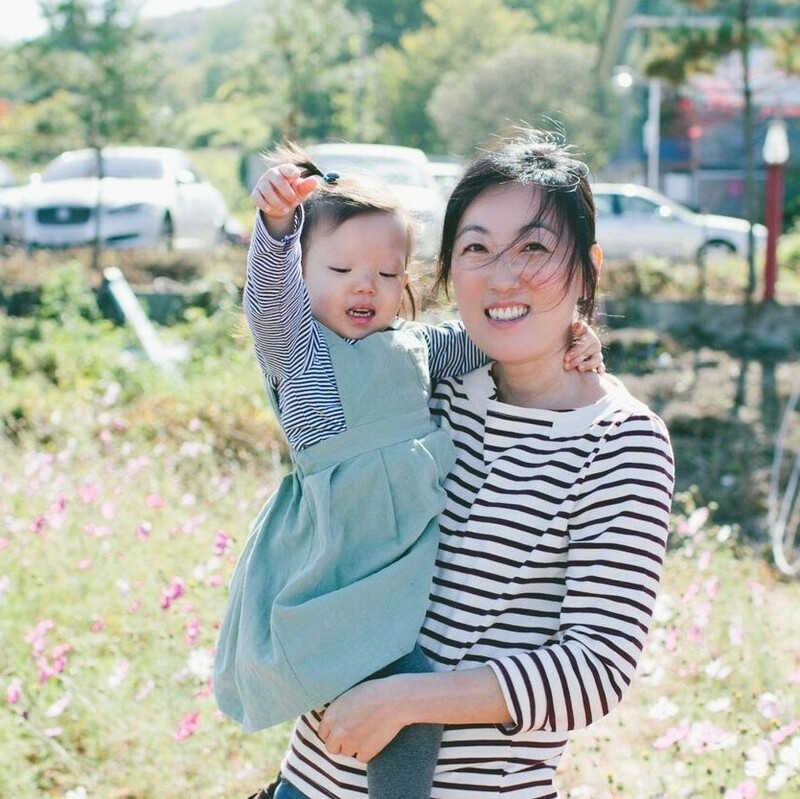 The nearest one from our apartment is located near Hanyang University. Another reason I love this place so much is that it never gets too crowded. We usually go on Saturday mornings around 10am when they open and we have this place all to ourselves. This sand box is the one of the favorite areas that my kids love playing in. 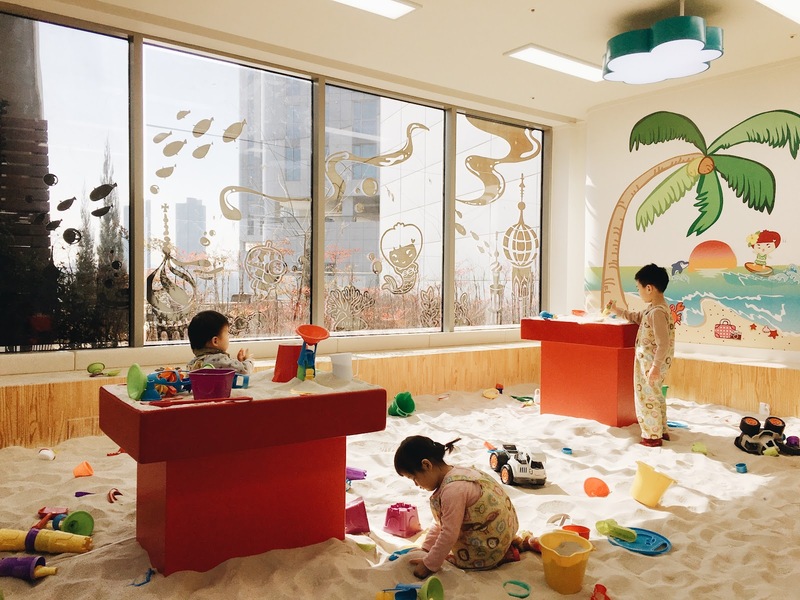 They have plastic overall covers and boots for kids so that they don't get sand between their toes and clothes and when they are done, they clean the kids with an air gun. They also have a sitting area for parents, so they can watch their kids without going in themselves. Trampoline, another activity that our hyper active kids enjoy. A train that they run every hour. Short but sweet. Small wooden blocks area that are especially loved by toddlers. 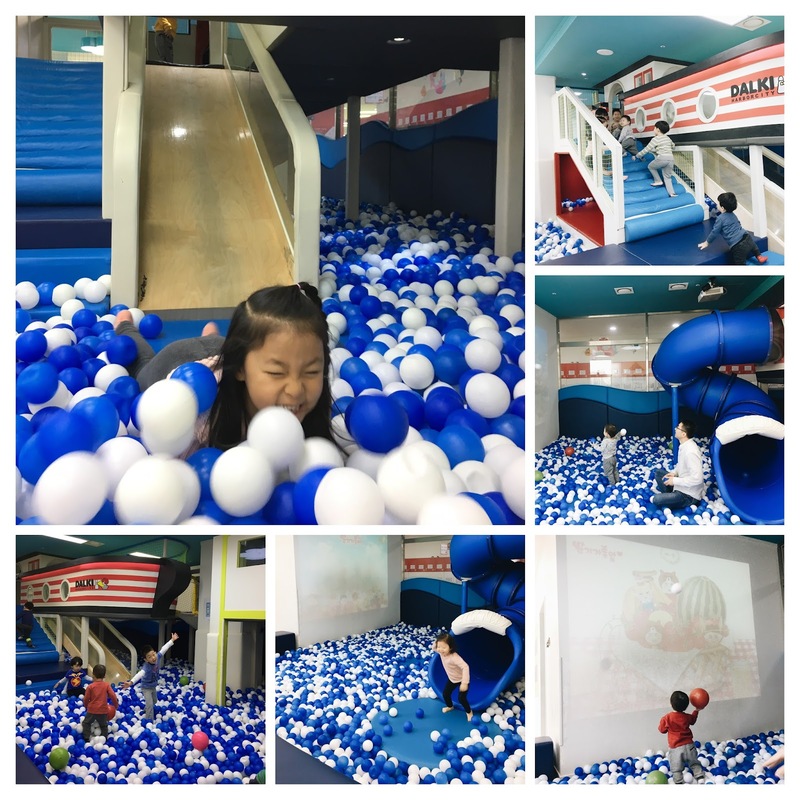 Large ball zone with slides and interactive wall. 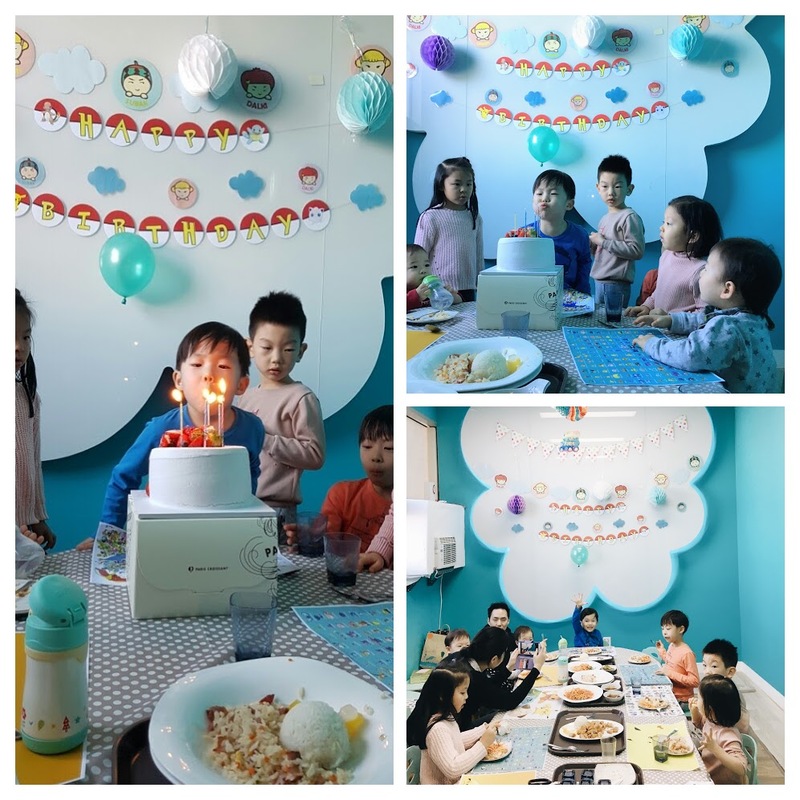 Birthday Party room: It costs 70,000 won to rent this room and they charge 10,000 won per child + 5,000won per adult to play for 4 hours + 5,000won coupon for every adult to use at the cafe. You have to order the food separately. 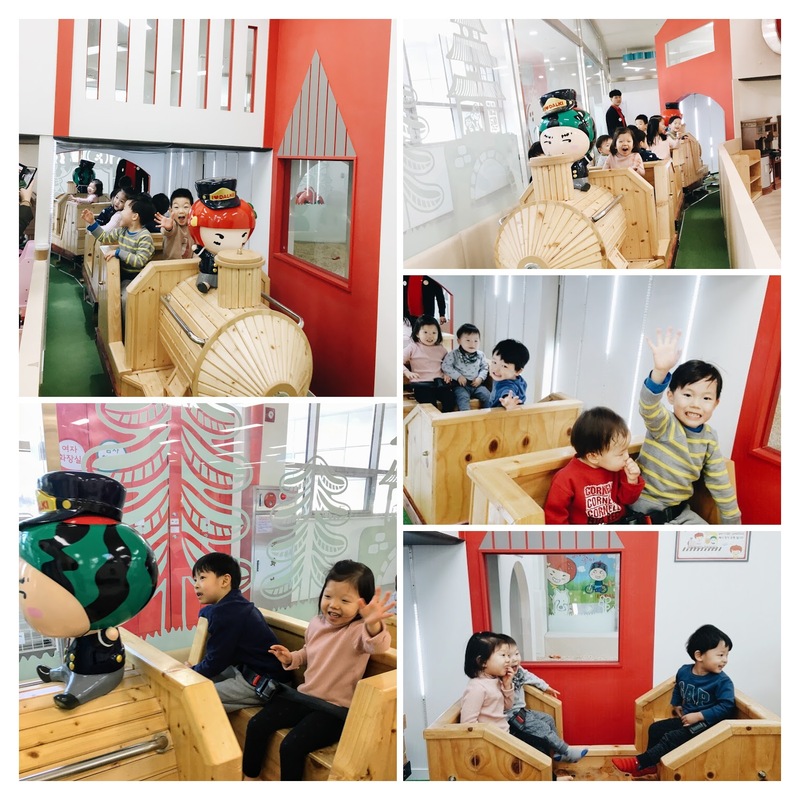 The food is pretty good quality for a kids cafe and we enjoy the food here for the most part. They also have a kitchen zone, a piano, big blocks, and baby rides. This is their snack area and cafe. It's floor seating, so they don't have high chairs here. 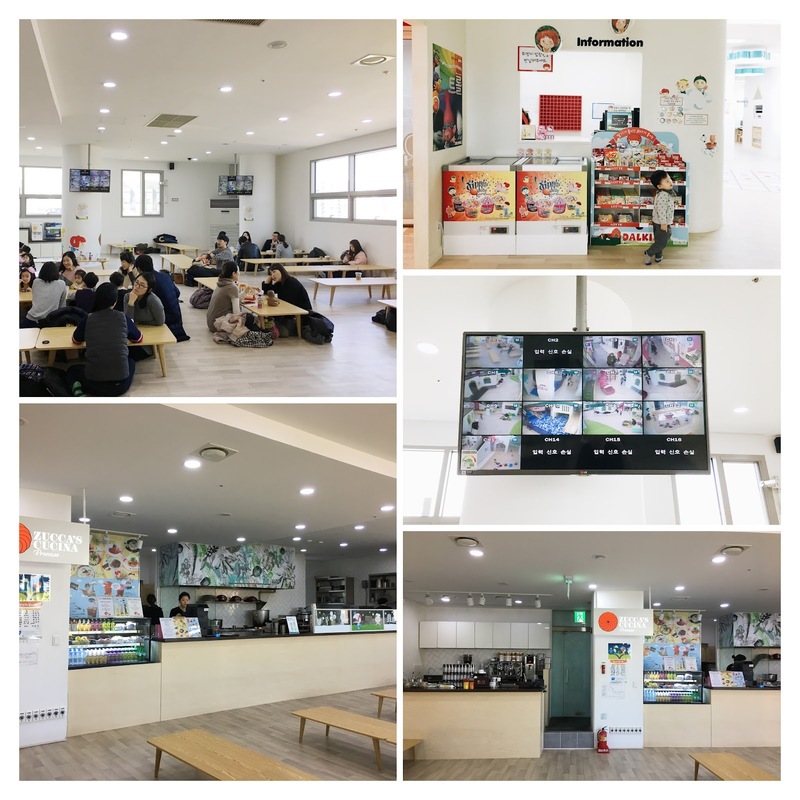 And they also have a TV that shows different areas of the kids cafe for mom and dad to monitor their kids while they are sipping coffee and catching up with other parents. 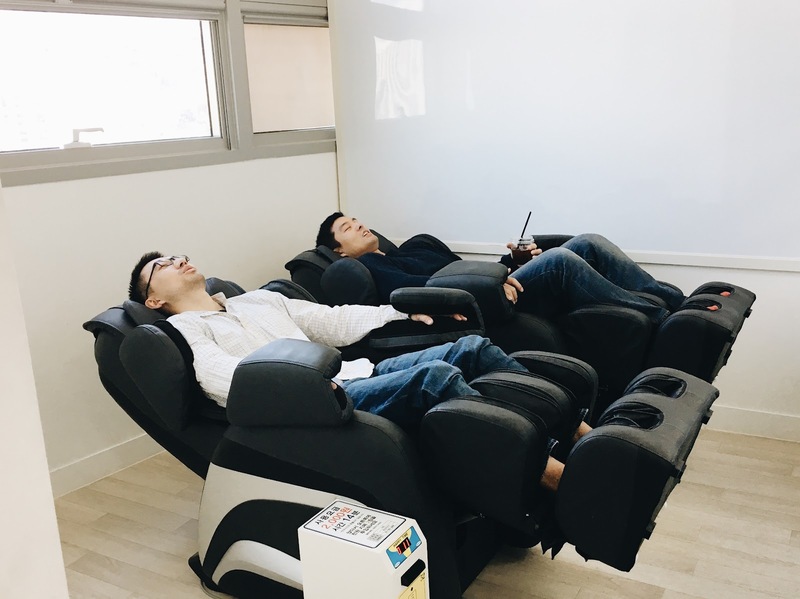 It normally costs 15,000won per child for two hours. I recommend purchasing the tickets on Coupang before you go to save 20-50%. Check out their website for the nearest location near you.